Kimberly-Clark’s social impact programs aim to extend our brand leadership beyond functional and emotional benefits to deliver social benefits by tackling critical challenges facing the communities in which we live and work. By investing in innovative social programs, we’re helping give people access to basic essentials that will improve their lives. Huggies, one of the leading diaper brands in hospitals, has launched a social impact program in Asia designed for the smallest babies. To help preterm babies get the “healing hugs” they need to thrive, Huggies has introduced a new program in partnership with leading hospitals in Vietnam. 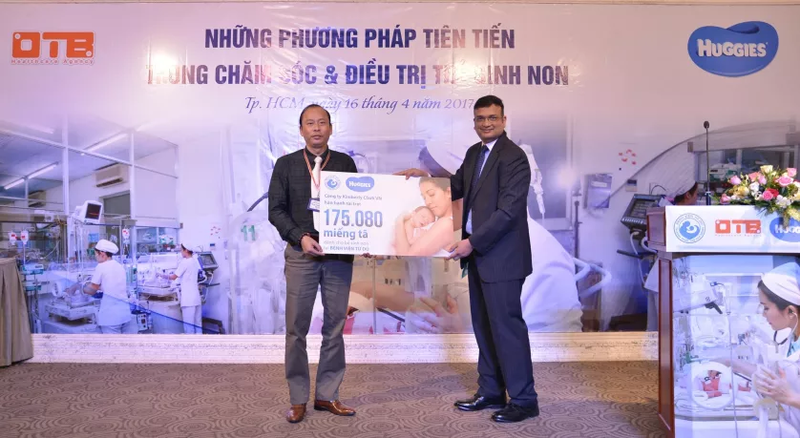 It will sponsor 350,000 Huggies® preemie diapers for preterm infants at the top obstetric hospitals in Vietnam, including Tu Du Hospital in Ho Chi Minh City and Hanoi Obstetrics and Gynecology Hospital. The program is expected to benefit more than 6,000 babies annually.